What’s To Love: We’ve all been Clarence at one point. He’s an optimistic, nine-year-old kid who sees the best in everyone and is happy to play the day away with his best friends, Jeff and Sumo. 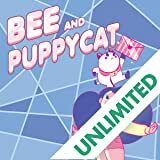 Writer Derek Fridolfs and illustrator JJ Harrison bring all the heart from the hit Cartoon Network animated series to our first-ever Clarence original graphic novel, and it reads like an extended episode of the show. Take a moment to relive childhood! 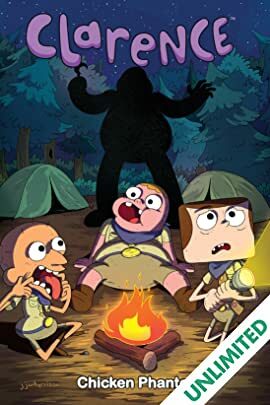 What It Is: Clarence and his friends join the Rough Riders Scouts for a summer out in the woods. While looking through a cave, they discover a lost journal written by the notorious Black Buck The Pirate (an ancestor of Rough Rider Chicken founder Buckey O’Neill). It details his adventures on the ocean and where he buried his treasure. But he also warns of a phantom chicken that haunts the forest, and drove many of his crew mad. 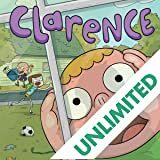 Now, Clarence and his friends are in a race against their rival, Joshua Maverick, to find the buried treasure, while avoiding the chicken phantom!